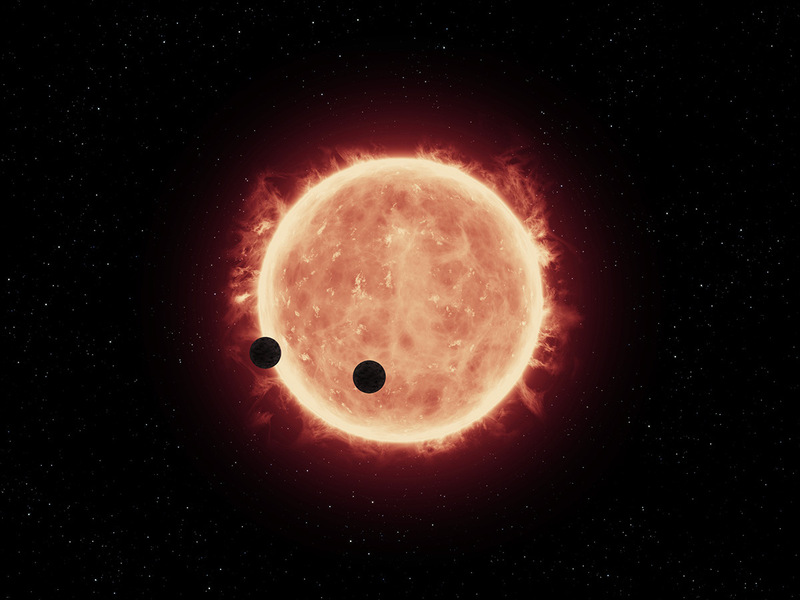 Artist’s impression of Earth-sized planets orbiting a red dwarf star. Image credit: NASA, ESA, and G.Bacon (STScI). In August 2016, the announcement of the discovery of a terrestrial exoplanet orbiting in the habitable zone of Proxima Centauri stimulated the imagination of the experts and the general public. After all, this star is the nearest star to our Sun even though it is ten times less massive and 500 times less luminous. This discovery together with the one in May 2016 of a similar planet orbiting an even lower mass star (Trappist-1) convinced astronomers that such red dwarfs might be hosts to a large population of Earth-like planets. What would these objects look like? What could they be made of? Yann Alibert and Willy Benz at the Swiss NCCR PlanetS and the Center of Space and Habitability (CSH) at the University of Bern carried out the first computer simulations of the formation of the population of planets expected to orbit stars ten times less massive than the Sun. “Our models succeed in reproducing planets that are similar in terms of mass and period to the ones observed recently,” says Yann Alibert explaining the result of the study that has been accepted for publication as a Letter in the journal Astronomy and Astrophysics. 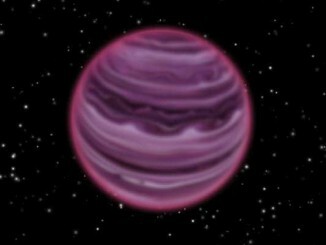 “Interestingly, we find that planets in close-in orbits around these type of stars are of small sizes. Typically, they range between 0.5 and 1.5 Earth radii with a peak at about 1.0 Earth radius. Future discoveries will tell if we are correct!” the researcher adds. In addition, the astrophysicists determined the water content of the planets orbiting their small host star in the habitable zone. They found that considering all the cases, around 90 percent of the planets are harbouring more than 10 percent of water. For comparison: The Earth has a water fraction of only about 0.02 percent. So most of these alien planets are literally water worlds in comparison! The situation could be even more extreme if the protoplanetary discs in which these planets form live longer than assumed in the models. In any case, these planets would be covered by very deep oceans at the bottom of which, owing to the huge pressure, water would be in form of ice. Water is required for life as we know it. So could these planets indeed be habitable? “While liquid water is generally thought to be an essential ingredient, too much of a good thing may be bad,” says Willy Benz. In previous studies the scientists in Bern showed that too much water may prevent the regulation of the surface temperature and destabilises the climate. “But this is the case for the Earth, here we deal with considerably more exotic planets which might be subjected to a much harsher radiation environment, and/or be synchronous,” he adds. To start their calculations, the scientists considered a series of a few hundred to thousands of identical, low mass stars and around each of them a protoplanetary disc of dust and gas. Planets are formed by accretion of this material. Alibert and Benz assumed that at the beginning, in each disc there were 10 planetary embryos with an initial mass equal to the mass of the Moon. In a few day’s computer time for each system, the model calculated how these randomly located embryos grew and migrated. 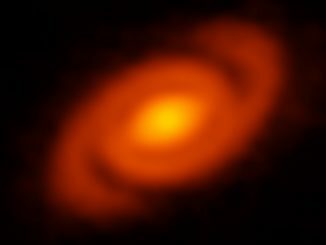 What kind of planets are formed depends on the structure and evolution of the protoplanetary discs. “Habitable or not, the study of planets orbiting very low mass stars will likely bring exciting new results, improving our knowledge of planet formation, evolution, and potential habitability,” summarises Willy Benz. Because these stars are considerably less luminous than the Sun, planets can be much closer to their star before their surface temperature becomes too high for liquid water to exist. If one considers that these type of stars also represent the overwhelming majority of stars in the solar neighbourhood, and that close-in planets are presently easier to detect and study, then one understands why the existence of this population of Earth-like planets is really important. A team led by the University of Edinburgh used a telescope in Chile to study weather systems in the distant world known as PSO J318.5-22 which is estimated to be around 20 million years old. 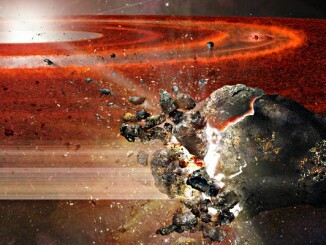 Layers of clouds, made up of hot dust and droplets of molten iron, have been detected on the planet-like object found 75 light-years from Earth, researchers say.